Peppermint oil is a natural antibacterial, antiviral, antiseptic, antifungal and anti-parasitic essential oil that offers countless health benefits. Derived from the peppermint plant, which is a cross between water mint and spearmint, there are several benefits of peppermint oil such as it can help with irritable bowel syndrome, indigestion, colds, headaches, toothache and many more ailments. Different cultures use it all over the world for its powerful medicinal properties. Read on to know the benefits of peppermint oil in detail and ways to use for getting the maximum of this amazing essential oil. Peppermint is a hybrid of the watermint and spearmint plants. Its scientific name is Menthe Piperita. Menthol, the primary component of mint, is extracted from its leaves and beautiful tiny purple flowers. These small flowers bloom from July to August. Peppermint essential oil is extracted through the process of steam distillation. 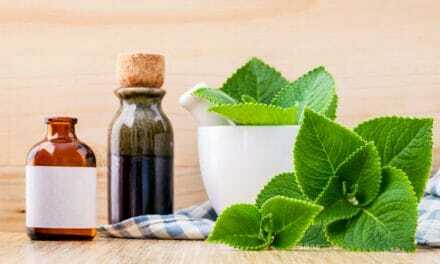 The most active ingredients in peppermint essential oil are menthone and menthol, which are responsible for its pleasant fragrance and its antimicrobial properties. Peppermint oil contains from 35 to 70 percent menthol, 15 to 20 percent menthone, 4 to 14 percent menthyl acetate and several other trace compounds. Peppermint essential oil can be applied topically or taken in the form of soft gel capsules. This oil contains many vitamins and minerals like vitamin A, C, magnesium, potassium, calcium, and folate that enhance its nutritional value. Mint has been used for medicinal purposes for thousands of years. It has been in mentioned in records from ancient Greece, Rome, and Egypt. Traces of this herb have been found in the pyramids. It has been used since 1000 BC. However, it was not recognized as a distinct kind of mint until 1700 (1). Peppermint thrives in Europe and North America. It has been used in traditional medicine as a pain reliever. Modern research also agrees to the numerous health benefits of this essential oil. Peppermint oil it offers many health benefits. Here are some of the benefits of this incredibly versatile oil. Peppermint essential oil is a very effective treatment for irritable bowel syndrome. When taken in a capsule form, peppermint oil helps reduce spasms in the colon, relaxes the muscles in the intestine, and can reduce bloating and gas (2). During a randomized trial, 57 patients with IBS were treated with peppermint oil for four weeks. The results showed that at least 75 percent of the patients showed a more than 50 percent improvement in their symptoms of IBS (3). Drink a glass of water with one or two drops of peppermint oil. Rub two or three drops of peppermint oil on your abdomen. One of the biggest benefits of peppermint oil is its muscle relaxant property. It is also an effective painkiller. It has an anesthetic effect that helps soothe the inflammation and suffering caused by conditions like arthritis. According to a study, peppermint oil, when applied topically, has pain-relieving effects associated with myofascial pain syndrome and fibromyalgia. In such situations, peppermint oil, menthol, eucalyptus, and capsaicin work as topical analgesics to relieve pain (4). Apply 2 -3 drops on the affected area three times daily. Mix it with some warm coconut or olive oil and rub in on the affected area. Peppermint oil is one of the best essential oils for headaches. 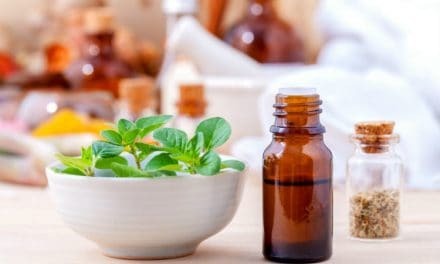 According to research, a combination of peppermint oil and ethanol helps reduce sensitivity to headaches significantly. During a trial, four different blends of peppermint oil, eucalyptus oil, and ethanol were applied to the forehead and temples of 32 healthy subjects. They noticed a significant analgesic effect and improvement in their headaches (5). Mix 2 to 3 drops with a coconut or olive oil and massage on the forehead and back of the neck. Peppermint is a safe, caffeine-free way to feel energized. In fact, studies have shown that peppermint oil can improve your physical and mental energy levels within five minutes of ingesting it (6). The strong smell of peppermint can also stimulate your senses. It can help you focus better and provide clarity to your thoughts. Inhale the peppermint oil directly or put a few drops in the diffuser. Add a drop to a glass of water and drink. Indigestion leads to symptoms like heartburn, stomach spasms, and pain. Peppermint oil can improve these symptoms by reducing the contractions of the esophagus (7). This oil can also be used to relieve flatulence and to relax abdominal and intestinal muscles and calming spasms in the colon. Peppermint stimulates the flow of bile which helps by breaking down fats and passing food through the gut more efficiently. Mix 2 to 3 drops of peppermint oil with a carrier oil and apply to the abdomen. In one glass of water put one drop of peppermint oil and one teaspoon of honey and drink. Peppermint oil is beneficial in reducing nausea, especially chemotherapy-induced nausea. According to a 2013 study, it is a cost-effective treatment for nausea in chemotherapy patients (8). In another study, 34 patients who experienced post-operative nausea were given a nasal inhaler with peppermint oil. They felt a significant improvement in the levels of nausea that they were feeling (9). Inhale peppermint oil directly from the bottle. Mix two drops of peppermint oil with coconut oil and rub it behind your ears. The analgesic properties of peppermint oil can soothe a sore throat. Its unique properties help cool your throat. Peppermint oil also has anti-bacterial properties which help fight throat infection and its anti-inflammatory properties help reduce swelling. Mix two drops of peppermint oil with warm water and gargle with it. Peppermint oil is beneficial in treating the symptoms of flu, like congestion, sinus infection and bronchitis (10). Inhaling diffused peppermint oil also helps to unclog sinuses. Peppermint is an expectorant as it helps open airways, clears mucus and reduces congestion. Mix peppermint oil with eucalyptus oil and coconut oil to make your very own homemade vapor rub. Alleviating seasonal allergy symptoms is one of the benefits of peppermint oil. It helps by reducing inflammation so that you can breathe easier. Thanks to its expectorant, anti-inflammatory, and invigorating properties, it helps clear the mucus and pollen from the respiratory tract. Menthos is very helpful in the treatment of allergic rhinitis, colitis, and bronchial asthma, according to a study published in the European Journal of Medical Research (11). Apply three drops of peppermint oil to your temples, chest or back of your neck. Peppermint oil has been used to freshen up your breath for thousands of years. Peppermint oil can kill bacteria and fungus that can lead to cavity or caries and other oral infections (12). 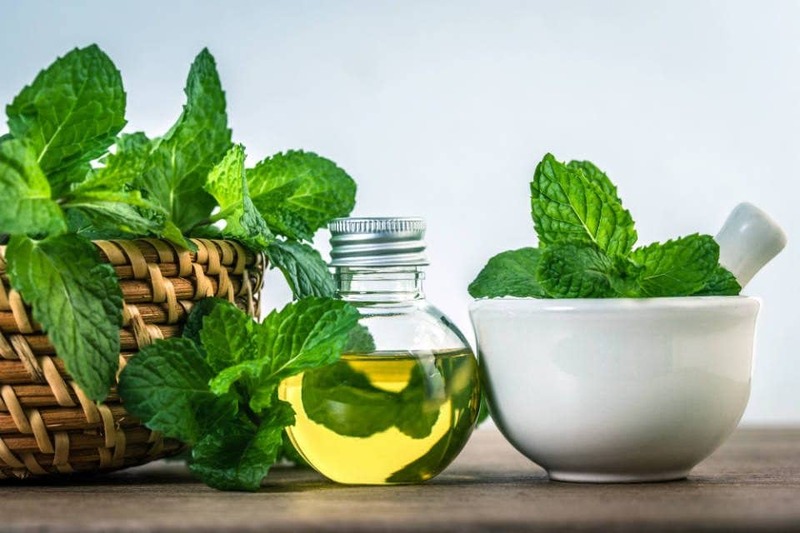 According to the European Journal of Dentistry, peppermint oil is effective against pathogens like Staphylococcus aureus, Enterococcus fecalis, Escherichia coli and Candida albicans. Peppermint oil can also provide a cooling and numbing effect for children while they are teething. Mix one drop of peppermint oil with coconut oil or olive oil and rub it on the gum area. You can also add a drop of peppermint oil on your toothpaste and brush with it. Peppermint oil also acts as a cleanser and decongestant for the skin. It is cooling for the skin, inhibits bacterial growth and reduces testosterone 5 ALPHA reductase production. It inhibits many forms of bacteria directly. You can make a homemade facial scrub with peppermint oil, olive oil, and natural fine rock salt. Peppermint oil has anti-inflammatory properties that help calm itchy skin. During a triple blind clinical trial, 96 women with pruritus were told to apply peppermint oil topically twice a day for two weeks. Researchers found a significant improvement in their skin condition (13). Apply 2 to 3 drops on the area concerned. Mix 5 to 7 drops in your warm water bath. For psoriasis or eczema, mix it with sandalwood oil to speed up healing. Peppermint oil can do wonders for your skin as it has softening, toning and anti-inflammatory properties. 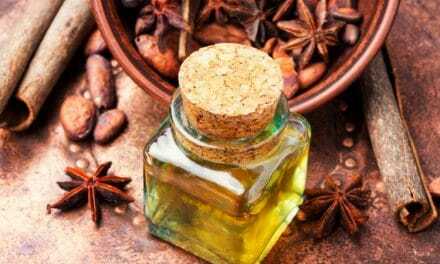 This oil can be effectively used to treat skin conditions like blackheads, dermatitis, inflammation, itchy skin, ringworm, scabies and greasy skin (14). Mix three drops of peppermint oil with equal parts of lavender essential oil and apply it on the skin. Protection from sunburn is one of the health benefits of peppermint oil. The cooling, anti-inflammatory and analgesic properties of peppermint oil make it very effective in treating sunburn. This cooling oil helps in relieving pain, while its anti-inflammatory properties help in reducing redness and swelling. Peppermint oil can also be used to prevent sunburn as it has a higher SPF than many other essential oils (15). Mix 2 to 3 drops of peppermint oil with a half teaspoon of coconut oil and apply it directly on the skin. Peppermint oil is an effective natural treatment for dandruff. Its anti-inflammatory properties help soothe the itchy scalp and prevent dandruff. 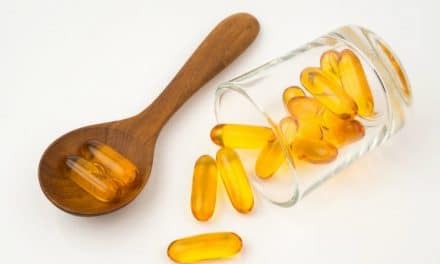 Melt four tablespoons of coconut oil and add one teaspoon vitamin E oil, two teaspoon moringa oil, 20 drops peppermint oil, and 10 drops tea tree oil. Let it cool. Apply it every day. One of the benefits of peppermint oil is also seen in hair growth. Studies show that applying peppermint oil to your scalp is an effective way to promote hair growth. According to a 2014 study, peppermint oil can be used as an alternative medicine for hair loss (16). This oil stimulates and rejuvenates the hair follicles which increases hair growth and prevents hair thinning. Add a few drops on your shampoo and massage it on your scalp. Add a few drops into coconut oil and massage on your scalp. Are there any side-effects of peppermint oil? When peppermint oil is taken in small amounts orally or applied topically, it is mostly safe. Most of the essential oils are not taken in excessive amounts and also, they are diluted with a carrier oil before application. Same goes for peppermint essential oil also. Peppermint oil can be toxic if taken in large quantity. Generally, 1 to 2 drops are enough for oral consumption. In a rare occasion, oral ingestion might cause side effects such as a headache, mouth sores, heartburn, etc. There are numerous therapeutic benefits of peppermint oil. It’s cooling, anti-inflammatory, antiseptic, energy boosting and pain relieving properties can benefit us in many ways. It helps keep our digestive system healthy, improves skin, prevents symptoms of flu and provides relief from aches and pains.